You’ve made a big investment in your home, and your premium home appliances are an important part of your lifestyle and self-expression. You selected your appliances carefully, considering their efficiency and economy as well as their beauty. You expect to get the most from them throughout their lifespan, and you recognize the importance of regular maintenance and repair to protect your investment and prolong the life of your appliances. That’s where Akrit comes in. 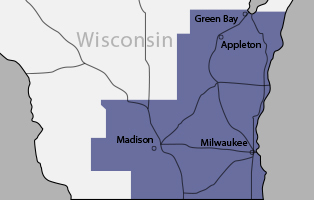 We are a full-service home appliance repair and maintenance company operating throughout much of southeastern Wisconsin (see coverage map). As a factory-certified repair company for Sub-Zero, Wolf, ASKO and other luxury appliance brands, our technicians are professional and knowledgeable, providing the best service for your appliance repair needs. We treat your home as though it were our own, and our technicians always finish a service call by leaving your home as neat and clean as they found it.